Sushi Train, Aspley, Brisbane - my name is Food. 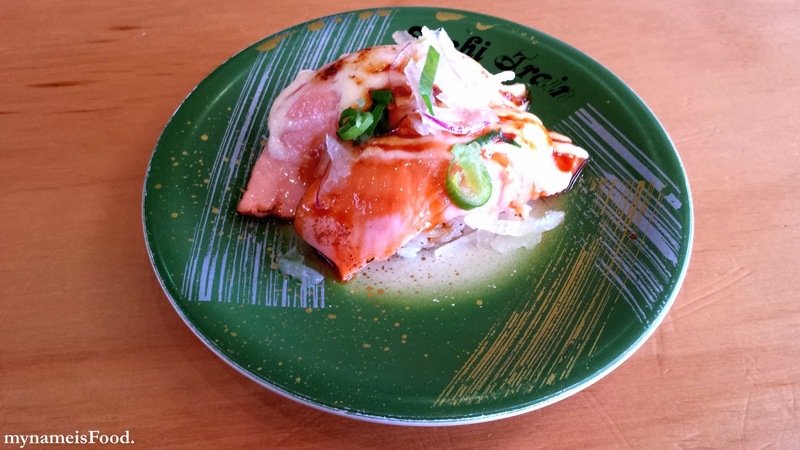 'Aburi Salmon' ($4.5), I love their Aburi ranges.. It's slightly grilled with still that moist texture of the meat/fish when you bite through it.. 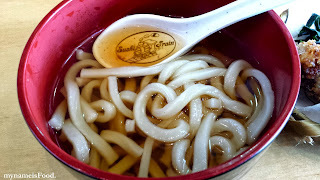 It just simply melts in your mouth.. 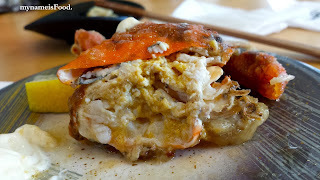 There's a few different aburi sushis, scallop, roast pork, wagyu, ebi & cheese and their volcano roll.. 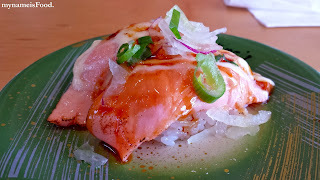 Ever since they released those so-called 'mini-udons' ($4), I've just been getting them when coming to Sushi train since it's enough for me and when you want to also pick out on the sushi from the sushi train, the next thing you know, that mini-dish is just enough for your tummy because you're just full when you start walking away.. 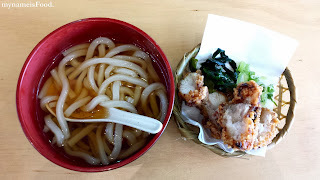 The udon also comes with a side of karaage chicken or vegetable tempura and more.. If you want the side to be put aside instead of being put on top of the udon, just simply tell the waiter.. 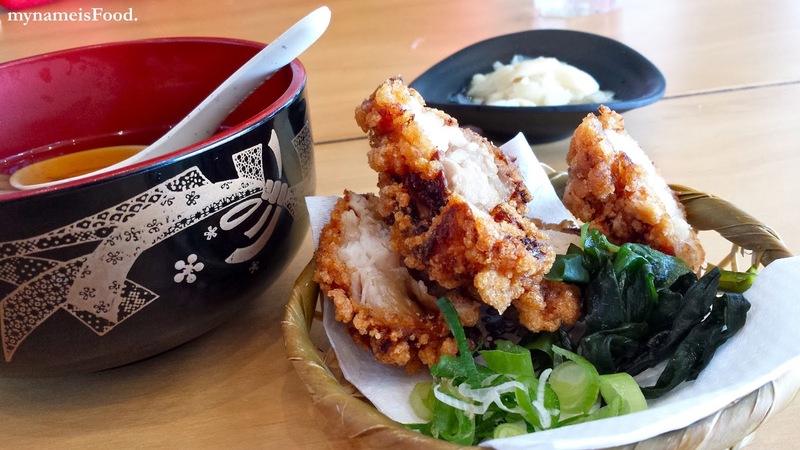 The Karaage Chicken was crispy on the outside and the chicken was moist and not dry inside, goes nicely with the udon as well.. I also like karaage chicken on warm rice with mayo too.. 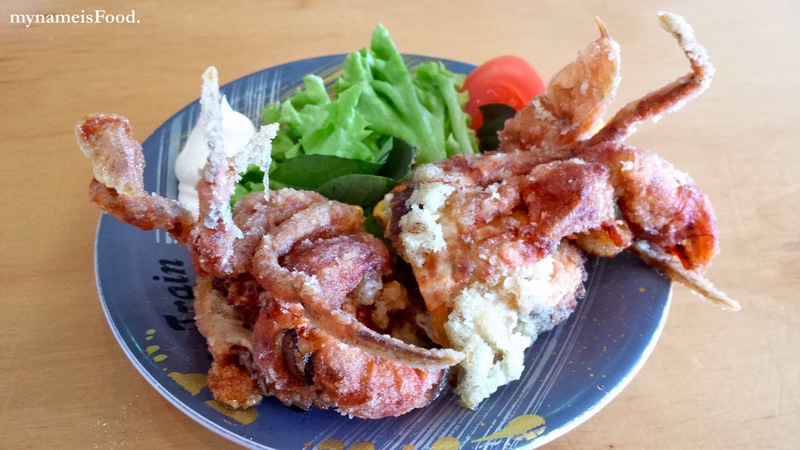 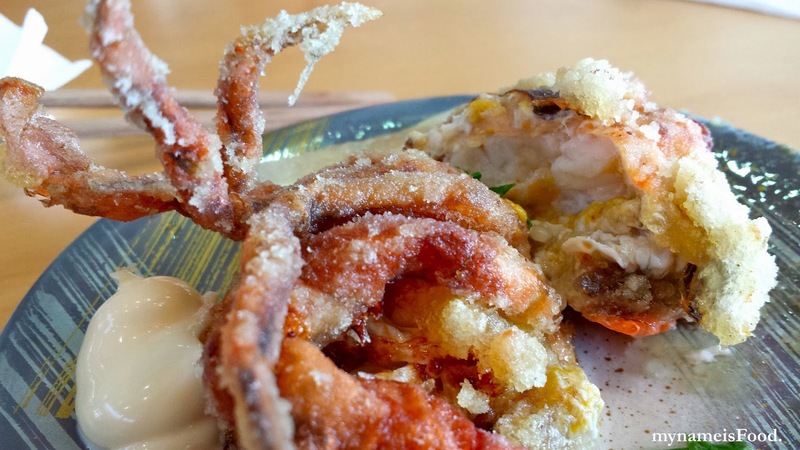 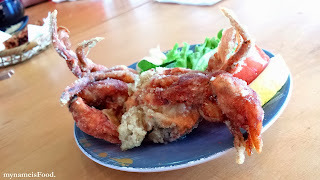 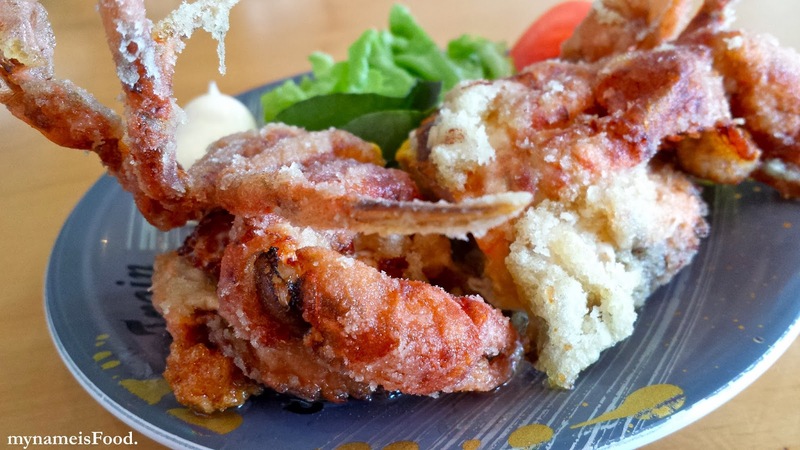 The soft shell crab is definitely my favourite of today out of the 3 dishes... the batter was thin and was perfect with the crab.. full of meat and I really liked the middle and crunchiness mixed with the softness of its legs..